Thanks for checking out Celebrity Bolonkas! Home of MBIS International CH Maksim of My Darling Dogs. We have been regularly producing some of the highest quality Russian Tsvetnaya Bolonka in the world. 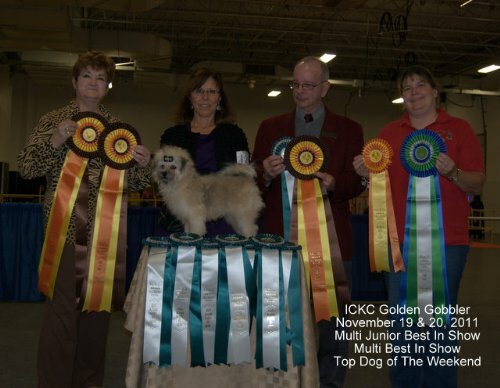 Our show record speaks for itself and we really love this awesome breed. We occasionally have puppies available so check with us if you are looking to add one of these fantastic pets to your family. We love to share these wonderful little dogs with the world.